Explore a fantastic vision of the Victorian era in The Clockwork Man, an epic hidden-object game. At the turn of the century, in an alternate timeline, steam-powered technology has become dominant in almost all walks of life. The latest in a long line of engineers and inventors, Miranda Calomy has always had a knack for creative problem-solving. When a strange letter from her grandfather arrives at her London flat, Miranda puts aside her plans and embarks on a global adventure. Can she manage to compile the parts to the world's greatest invention before it’s too late?Join Miranda and Sprocket on an amazing journey of hidden object challenges and perplexing puzzles in a Steampunk setting. An innovative hint system : Sprocket, the Robot! Objects’ positions change on replays. We're bringing you you a major game update. You can now play The Clockwork Man 2 in English, French, Italian, German, Dutch, Spanish, and Portuguese. The update is currently available through the standalone Windows & Mac installers, we're working on an fix for Linux. Thanks for playing our games! The Clockwork Man Series Holiday Sale! The Clockwork man 1+2 on holiday sale at a whopping 50% off! 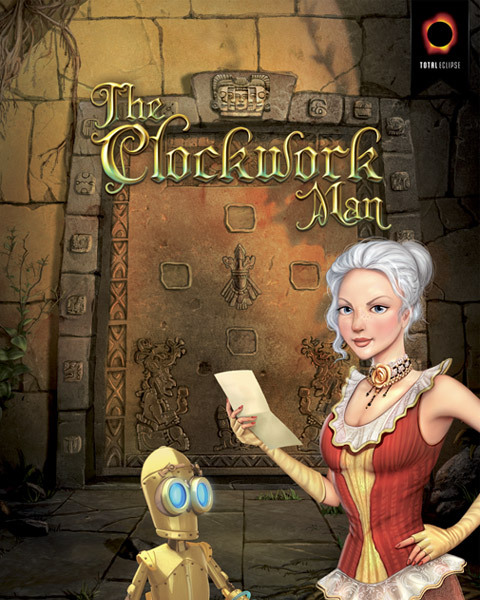 The Clockwork Man just launched on Desura! Download The Clockwork Man Trial for Windows (PC) and enjoy 60 minutes of free play of this unique Hidden Object Adventure game. Another linux game's hidden objects please...Only one is not enough...! On openSUSE 12.1 (64-bit) the game wouldn't start. I had to install "libidn-32bit" and "libcurl4-32bit" to get it running. Hope that helps someone. So, could anyone confirm whether this is the multi-language version, or is it just English as on Steam? Holy smokes, that is gorgeous. I may have to get this one once I get paid again.